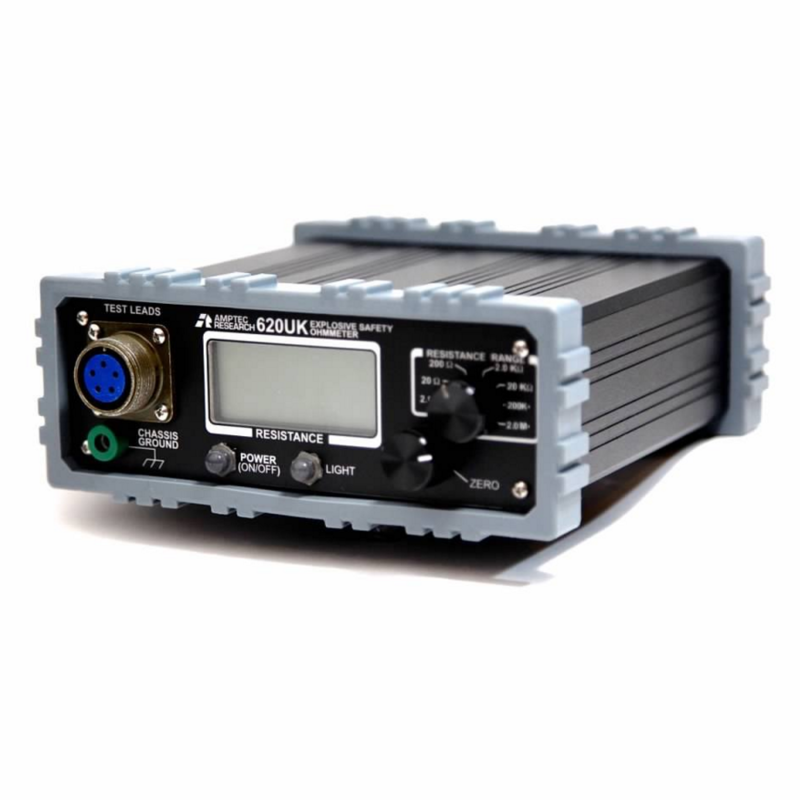 The AMPTEC 620UK Ohmmeter is a portable EEX digital igniter tester designed for ultra-safe resistance testing on squibs, flares, bridge-wire, and other explosive devices. The 620UK’s failsafe design allows it to comply with the EU ATEX Directive, the Intrinsic Safety Standard EEX-9B-IIC-T4, and USA MIL. STD. 810F, as well as many other international defense standards. 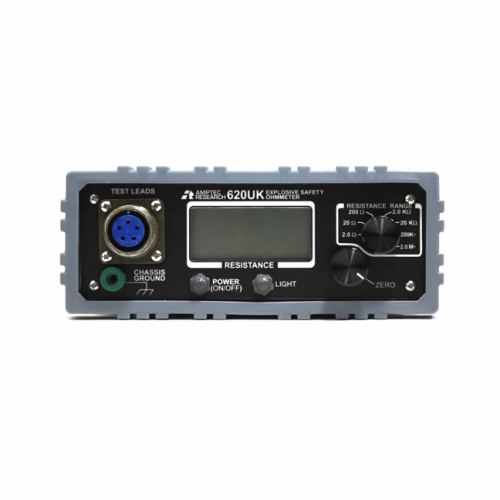 Additionally, this product is available in a 4-wire version, known as the 620UK-V4 ohmmeter. The 620UK ohmmeter is available for purchase in two separate packages (the 2-wire and 4-wire versions of the product), and is compatible with only its own 620UK Series accessory line. For specific pricing information or to place an order for a 620UK meter, please contact us today. Commercial Package Includes 620UK 2-wire ohmmeter, (630-100) padded case, (620UK-305) leads, & U.S. N.I.S.T Calibration Certificate. Request a quote! V4 Package Includes 620UK 4-wire ohmmeter, (630-100) padded case, (620UK-305V4) leads, & U.S. N.I.S.T Calibration Certificate. Request a quote! The 620UK ohmmeter is compatible only with the 620UK Series probe/lead sets and accessories. Please note that the 2-wire and 4-wire versions of the product use different probe/lead sets.